The Mayor of Rotherham, Councillor Lyndsay Pitchley recently visited the headquarters of leading radiator manufacturer Stelrad in Mexborough, as part of the business’s 80th year celebrations. David Taylor, Operations Director, lead a small group of ex-employees on a tour of the factory and the National Distribution Centre (NDC). This included Derek ‘Nip’ Denton who started working at Stelrad aged 15 in 1952, and worked for Stelrad for 43 years. ‘Nip’ shared stories about how things used to be and the characters within the factory, but he had never been in the NDC – as that only opened 14 years ago. 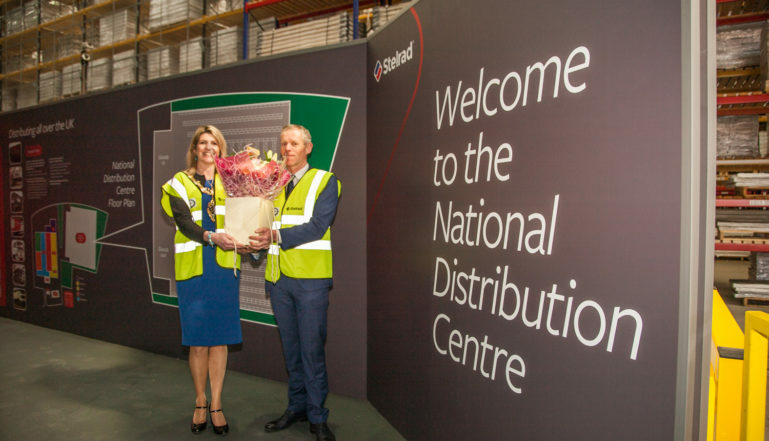 Everyone was impressed with the scale of the NDC which has recently been extended still further to accommodate up to 360,000 radiators in stock at any one time.